Rangarajan was in Hyderabad to deliver the inaugural address during a seminar organised by the Institute for Development and Research in Banking Technology. The Reserve Bank of India may go for rate cut early next year as price situation is showing 'definite improvement', former chairman of Prime Minister's Economic Advisory Council, C Rangarajan said on Thursday. He, however, cautioned that volatility in the currency markets should also be taken into consideration before going for any policy decision. "The price situation is showing definite improvement. The latest policy statement has clearly given indication if the price behaviour is along the trajectory envisage. . . I expect probably changes will come in the early part of next year. It could be any time. "But the only factor that has to be taken into account at the present moment is the fact that there is great volatility in the foreign currency markets. "And therefore, the timing will also be influenced by what is happening in the foreign exchange markets," Rangarajan told reporters when asked about the possible rate cut by the RBI. Replying to a query on falling oil prices, he said net oil importing countries such as India will benefit from the situation in terms of reducing current account deficit. He predicted that if the situation continues, the CAD will be in the range of 1.7 per cent of the gross domestic product as that of last year. "Well, the initial expectation was because of the fall in oil prices, the CAD may be even lower than last year. But because of the pick-up of gold imports and all that I expect the CAD to be the same as the last year. 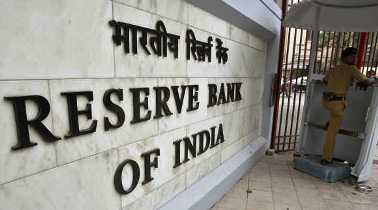 . . something like 1.75 per cent of the GDP," the former RBI Governor said. Earlier in his address, he said with over 500 million bank accounts in the country, it is estimated that the Indian banking system produces over one billion transactions a day. He stressed on the importance of cyber security systems that are needed for banks to prevent the possible threats to the economy.